What is it? 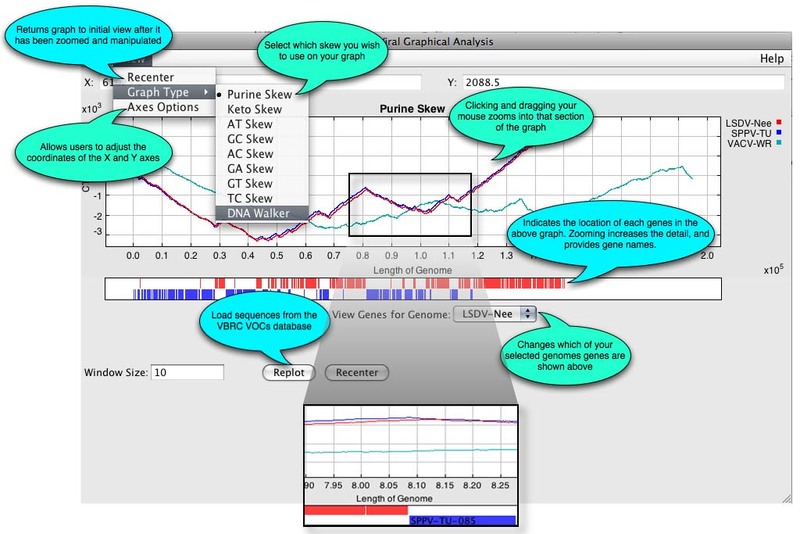 DNA Skew Graphing (GraphDNA) allows the user to generate graphical representations of raw DNA sequences. 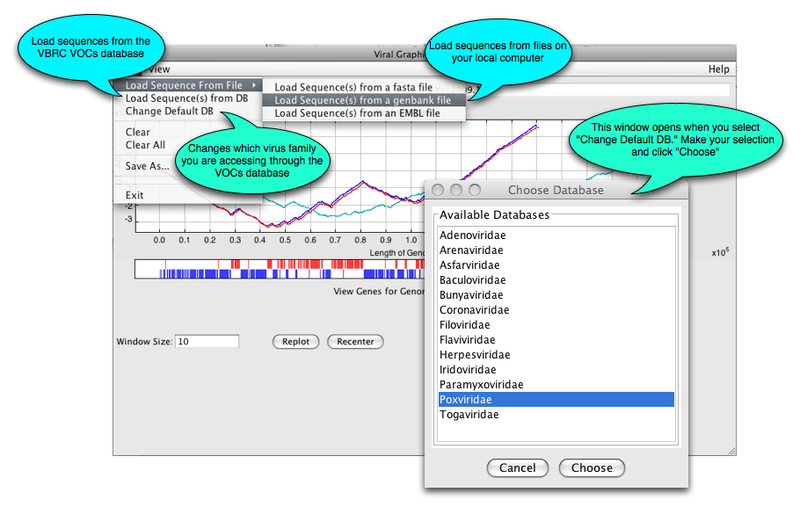 To date, there are 8 graphing options and the user can plot any of the individal genes or genomes in any format. Click the Launch Program button. GraphDNA will be downloaded to your computer and Java Web Start will automatically start the program. Click here to go directly to the GraphDNA page. What next? The main GraphDNA window shown below will open. From here you can import sequences from the VOCs database or from your local computer.